It’s a full and exciting day for the Triple Crown team this Saturday, with three representatives to be saddled and sent out following good preparations from our friends at Snowden Racing. An exciting race for us to kick off with is the Golden Gift over 1100m. 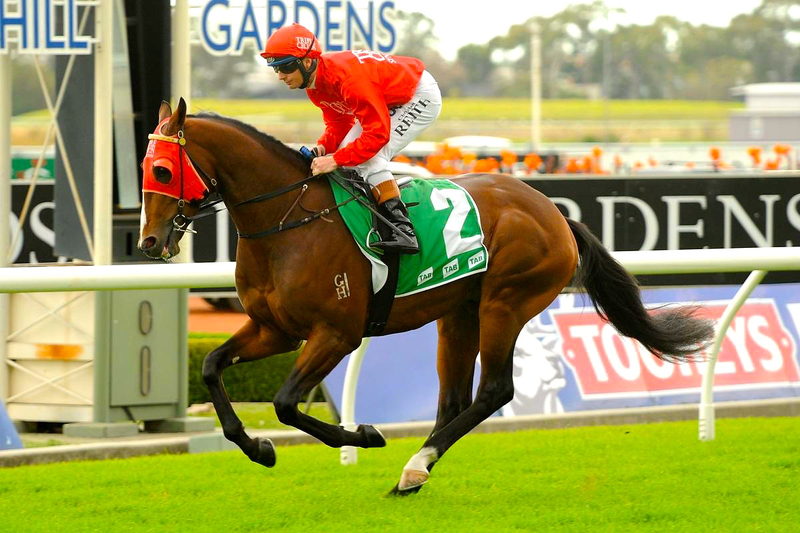 A race for two-year-olds worth $150,000 in prize money, $88,450 of which goes to the winner’s connections and gives that horse a big leg up for a Golden Slipper bid where the horses with the most prize money get a run. The horse we are sending out is Jericho (Smart Missile ex Advance To Go) who is coming off the back of two good trial wins and has shown some ability. The beauty of this colt is he looks to be more of a progressive type of horse, so whatever he provides us with tomorrow will be a bonus on top of what we think is to come. There are some horses with placings and wins in the field as well as un-raced trial winners. With early two-year-old racing it’s always a bit of a mystery as to how these races will pan out but having drawn barrier one, we envisage Jericho hanging out on the rail and hopefully using that to his advantage. Later in the day we have the tough Brazen Moss lining up for his seventh run of the preparation. Peter and Paul Snowden have tailored a unique approach to his training as he’s a horse that can give his track riders a mighty hard time by carting them around the track! They keep him fit by regular swimming sessions and less ridden track work. This race, a BenchMark 78 Handicap over 1900m, is coming just 10 days after his last start when storming home from the end of a strung out field to run third, no easy feat at Warwick Farm. The 1900m is a query, however if he’s going to get it it’s going to be now, seven runs deep off a solid result over a mile. Interestingly, Brazen Moss has recorded a fourth, two thirds and a second at Rosehill Gardens, from four starts. In the last race of the day we have Classic type horse Rock Mylady. The three-year-old gelding (don’t let the name fool you) is third-up (with a freshen-up in-between) following a seventh placing at Royal Randwick over 1200m on Cup Day. Although it was a disappointing result on paper, in motion it wasn’t at all bad. From a wide barrier, he trailed last in the field when coming into the straight and hit the line strongly with petrol remaining in the tank, it indicated to us that he wants more distance and that the long Rosehill straight will suit. Rock Mylady will be lining up in the BenchMark 78 Handicap over 1500m which provides him the added distance he’s been crying out for.